Rickie Fowler is on the hunt for his first major title and looking for a bit of redemption after finishing second at Augusta in 2018. Could this be the Puma player’s chance to finally seal a major deal? 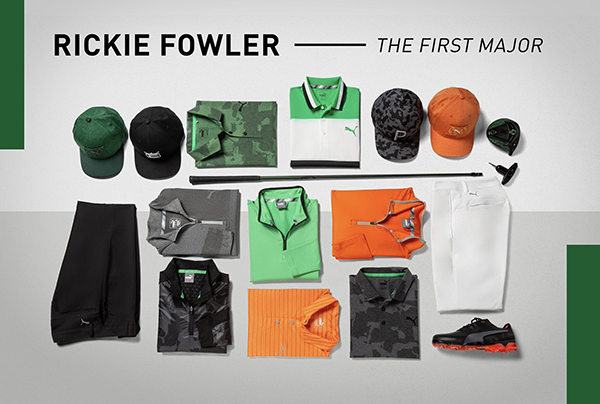 We don’t know for sure, but what we do know is that Fowler’s 2019 Masters looks are hot and in stock now at GolfOnline. This week, the 30-year-old will be hitting the course sporting a polo shirt that has been specifically designed to honour the legendary Augusta National. The Puma Mens Union Camo Polo Shirt features a youthful yet refined look that is lightweight and moisture wicking. Puma’s unique Camo design is built upon layering the outline of the U.S. and the state of Georgia for a truly one-of-a-kind print. He comes to Augusta in search of his first major win. After finishing here T38 in 2018, DeChambeau might be in the position to contend at The Masters this year, posting four top-10 finishes so far this season, including a win on the European Tour at the Dubai Desert Classic. 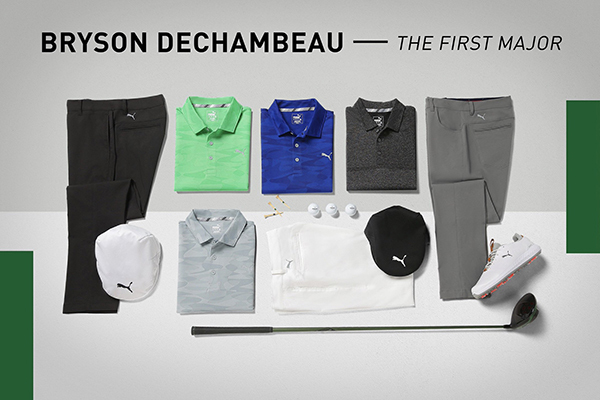 If you’re looking to spot DeChambeau on the course this week, just keep a look out for his signature Puma Tour Driver Cap or the new Puma Ignite PWRADAPT Leather Golf Shoes. Jordan Spieth was once touted as golf’s next big thing. Capturing the 2015 Masters and U.S. Open titles, as well as the 2017 Open Championship, all before the age of 25. But Spieth then struggled through a winless 2018 season. While he has yet to win in 2019, the Texan’s game does look to be showing signs of improvement, and Augusta seems to be a place he really feels comfortable performing at. Could this week be the positive turning point for Spieth? 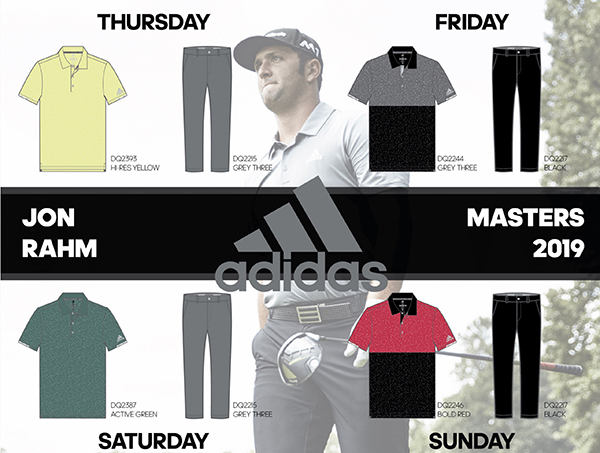 While we wait to see what The Masters 2019 holds for the former number one, Under Armour has released Spieth’s looks for the tournament. If Spieth can make the cut, you can expect to see a variety of UA gear gracing your telly screens this weekend, including the incredible Under Armour Spieth 3 Golf Shoes and the Mens Spieth Tour Golf Glove. Dustin Johnson might have just lost the World Number One spot to Justin Rose, but that doesn’t mean he’s lost what it takes to win a major title. The 34-year-old is coming to Augusta in great form and ready to secure his first Green Jacket. Boasting 5 top-10 finishes so far this season, including a win at the WGC – Mexico Championship, DJ looks to us to be one good bet for Sunday. 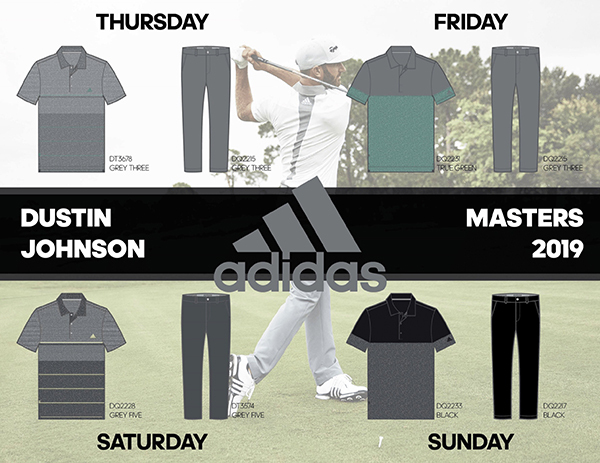 Here’s a quick look at the adidas apparel Johnson will be sporting this week, including the new adidas Ultimate 365 Heather Stripe Polo Shirt and the incredible adidas Tour 360 XT Golf Shoes. On this week's #TeamTaylorMade Podcast, Jon Rahm breaks down his unique match play strategy, reflects on being a #RyderCup rookie, and describes what it was like to go head-to-head against—and beat—@TigerWoods. 24-year-old Jon Rahm is looking forward to taking on Augusta in 2019. 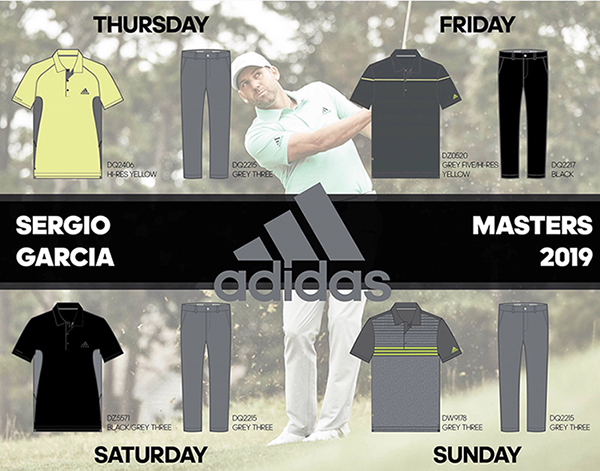 Last year the Spaniard finished in fourth place in just his second Masters appearance. This time Rahm believes he has what it takes to finish at the top. “It’s a golf course, the more you play, and the more information you get about it, it’s going to be easier, especially on the greens,” he told reporters. Sporting the latest styles from adidas’ Spring/Summer 2019 collection, Rahm is looking to make a big statement from the first tee. Here’s hoping it ends with a Green Jacket. Spain’s Sergio Garcia has had a rough couple of months on the professional circuit. Starting with a DQ in Saudi Arabia in February after defacing some greens, Garcia then found himself in the news for a disagreement with Matt Kuchar at the Dell Technologies Match Play a couple of weeks ago. Both players have since issued statements to say they have no issue with each other. So how will all the controversy play into his 2019 appearance at The Masters? Augusta holds a special place in the 39-year-old’s heart. It was here in 2017 that the adidas player finally secured his first major title. An event so important he actually named his first child Azalea, the nickname of Augusta’s 13th hole. It is a place he knows he can win and a place where he feels comfortable. Meaning the chance of Garcia securing a second Green Jacket, isn’t too impossible to imagine.